In today's increasingly globalized world, it is essential that people of diverse ethnicities and socio-economic backgrounds learn to work together and communicate effectively. This book offers a breakthrough approach to recognizing that differences among people are resources for organizations to tap as they strive to anticipate change and adapt rapidly in an unpredictable world. 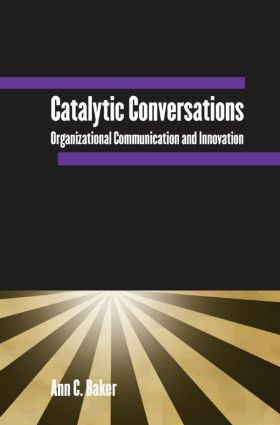 "Catalytic Conversations" provides a conceptual framework for understanding how complex communication patterns of social networks influence, and are influenced by, organizational structures. It discusses how to enhance the quality and viability of groups and organizational life by paying attention to how people talk - and do not talk - to each other. The book distinguishes between conversations that support organizational enhancement and others that inhibit innovation, and explores the complexity of organizational communication in detail. Highly accessible and relevant in today's economic environment, this acclaimed resource provides a unique approach to understanding what the practice of economics is all about. It analyzes current economic issues from three different ideological perspectives: Conservative, Liberal, and Radical.